Velocity is an affordable housing project incorporating 58 units of flats ranging from studios to 3-bedroom units in Kirkland, WA. Imagine Housing joined with Polygon Northwest to build this transit-oriented development project. 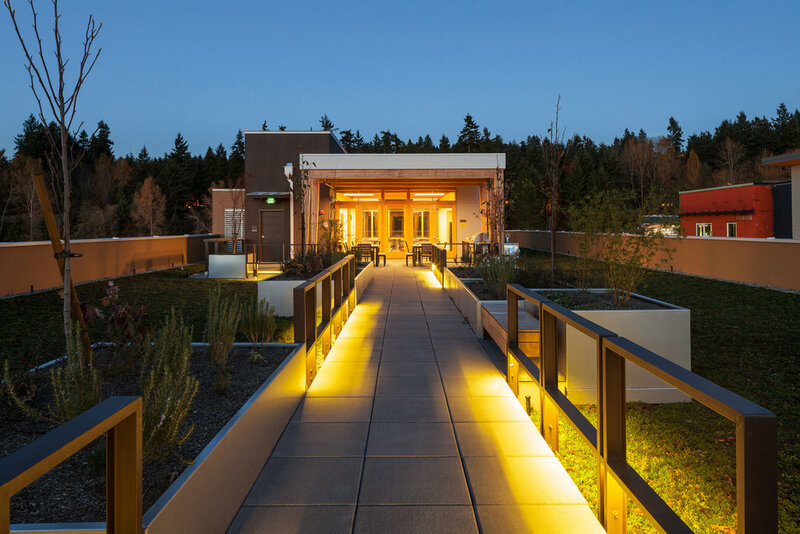 The Velocity has a living green roof that incorporates walking paths and integrated seating that is beautiful and soothing, while reducing water runoff and turbidity into the storm sewer system, and also includes an outdoor kitchen. The homes have been built with both the residents and sustainability in mind, achieving a balance between gorgeous finishes and long-term durability with environmentally-friendly materials. It meets Evergreen standards for energy efficiency, saving valuable resources and contributing to a clean planet.